If you’re reading this you’re probably looking for ways to earn extra cash, am I right? 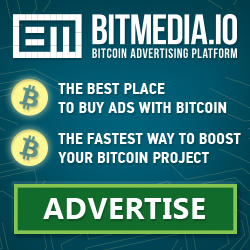 You’ve probably seen the click-bait ads on how 2 girls become bitcoin millionaires or how I earn 3000 dollars a day with Bitcoin and thought its time to do your research. We all want to earn that ever elusive passive income. If we didn’t then the promise of easy money you can live off of every Ponzi and get rich schemes pitches would never be successful. Cryptocurrency is a new concept for many and between all the FUD, FOMO, fake exchanges and investment schemes (yes there are plenty of cryptocurrency scams) you’ll find legitimate ways to make money. I’ve personally bought 12 different coins and will be hodling them for the next year or more. This is a truly revolutionary way to look at social media which makes you think how profitable this could be in the near future if steemit will becomes mainstream medium. You will need to invest by purchasing a certain amount of a certain currency, creating a wallet and node and then finally sending your currency to the newly created node which can be used to verfiy transactions on the blockchain. When a new currency is introduced or a new batch of currency is released in order to gain momentum and interest many companies try Airdrops. An Airdrop in when the currency development team distributes their coin to the community for free or in exchange for small tasks like downloading their software, native wallet or signing up for an ICO. There are a few promising projects in this space looking to create a decentralised marketplace for resources. Projects like Golem, Sia and Storaj which allow you to rent out hard drive space or CPU power and get paid in their network based currency. Affiliate marketing is nothing new, plenty of bloggers, social media influencers and vloggers make use of these platforms. One thing the cryptocurrency community is renowned for is their generosity. We believe in the concept and we put our money where our mouths are. We not only shill our coins but we share them. Simply set up a wallet and provide your address so that users can donate as a thank you. There you have it, 22 ways you can earn cryptocurrency that won’t make you a millionaire overnight. So give it a go and let me know how it worked out for you.